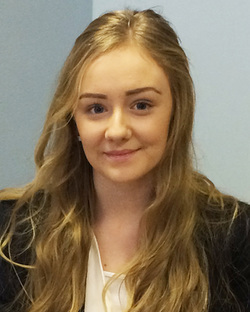 Joining Bede as an Apprentice in September 2015, Katie recently completed and passed her Diploma in Level 3 Business Administration. After completing her apprenticeship, Katie now controls and is responsible for the day to day running of The Yorkshire Building Society Agency in Marske. In her spare time, Katie enjoys travelling, and spending time with her family and friends.